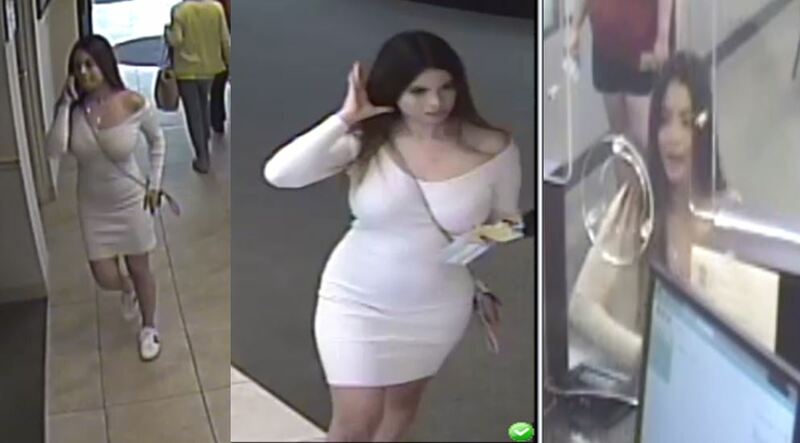 An unknown female was captured on surveillance video withdrawing cash (with a stolen identity) from Gold Coast Federal Credit Union. This incident occurred on March 2, 2018. The credit union is located in the 2000 block of S. Congress Ave, unincorporated PBC.